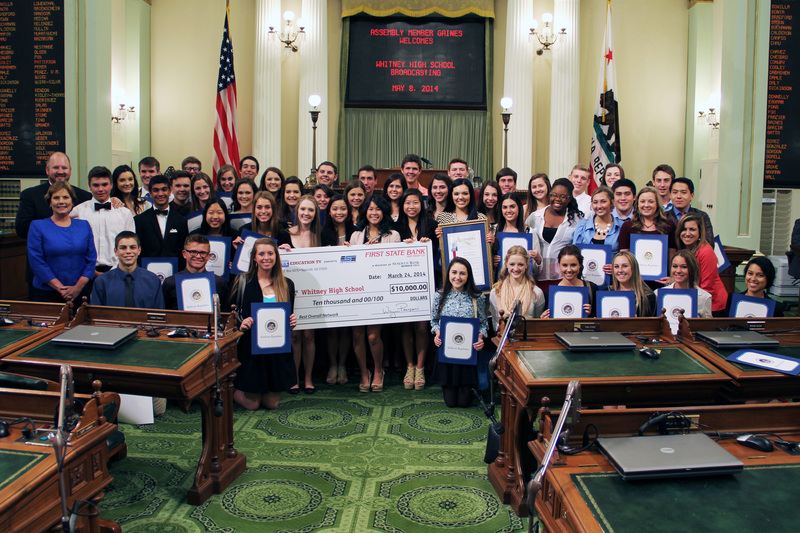 The Whitney High School Broadcast program was presented a Resolution, by Assemblywoman Beth Gaines, on May 8, 2014. The News, Productions, and Sports students sat in gallery during the Assembly session, as Assemblywoman Gaines introduced them to the lawmakers. After the session ended, Assemblywoman Gaines brought the students down onto the Assembly floor, presented the staff with a Resolution, and a certificate of accomplishment. Gaines told our reporter that this was the first Resolution given to a Broadcast program. Also, it was the first time a school from the Rocklin Unified School District was given this honor, at the State Capitol. To watch a story from reporter Sydney Brandt and photographer Kayla Daughters, about the program’s trip to the Capitol, CLICK HERE.